For this outing, the Hollywood-based sampling experts have turned to C.C. White, who has sung with many of the greatest and most iconic names in the music industry. Her voice is a thrilling blend of Funk, Soul, Reggae, Southern Blues, Gospel, R&B, Jazz, with a bit of Latin flair. From soft and angelic to powerful and earth shattering, her voice effortlessly captivates and enthralls audiences. The instrument includes a collection of expressive, soulful multi-sampled vocal instruments with hundreds of expressive phrases in every key and true legato transitions. Composers can switch between multiple articulations on the fly with Combo instruments and play chords to create vocal harmonies with Mod Xfade Chords instruments. 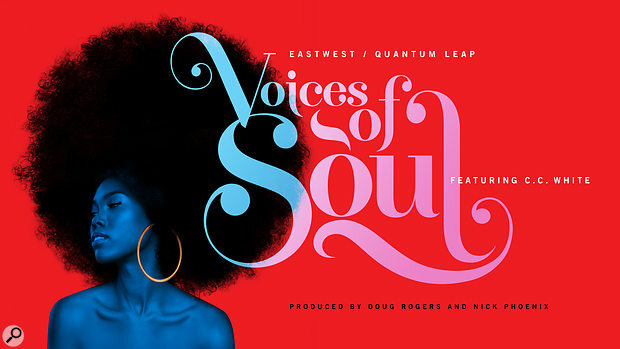 Take a listen to some sample tracks built using Voices Of Soul below. It’s available for an introductory price of $199 until October 31st, and $399 thereafter. It’s also included for free as part of EastWest’s ComposerCloud subscription service.